For the second year in a row, Feet First served as organizer of Jane’s Walk in the Puget Sound region, hosting fifteen unique walks across Bellevue, Edmonds, Issaquah, Kenmore, and Seattle on Saturday, May 3rd and Sunday, May 4th. Despite the steady downpours throughout the weekend, nearly 300 lively and enthusiastic participants joined us on the walks. Jane’s Walk celebrates the legacy of Jane Jacobs, one of the most important urban thinkers of the 20th century, whose work has had a profound influence on the field of urban planning. Jacobs offered sharp insight into the qualities that make cities vibrant, safe, and enjoyable places to live. She championed walkable neighborhoods, urban literacy, and cities planned for and by everyday people. After Jane Jacobs passed away in 2006, Jane’s Walk was founded in Toronto by a group of Jacobs’ friends and colleagues who wanted to honor her ideas and legacy. They envisioned free walking tours led by local community members, which would enable people to be informed about civic issues, meet leaders in their communities, and learn basic concepts about urban planning. Since then, the event has gained a significant following; this year Jane’s Walk was celebrated by over 150 cities across the globe, creating a space for residents to talk about what matters to them in the places where they live, work, and play. 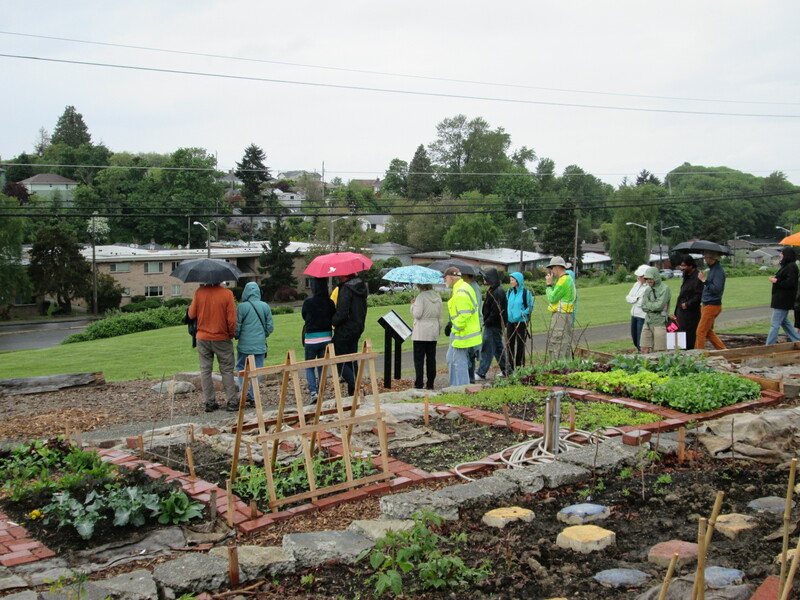 In Seattle, a dedicated group of Neighborhood Walking Ambassadors led walks in Ballard, Beacon Hill, Capitol Hill, Central District, Fremont, Green Lake, Pioneer Square, Rainier Beach, and West Seattle. The Jane’s Walks featured a wide variety of themes, ranging from Timothy Lowry and Bryan Fiedorczyk’s walk in West Seattle, which examined smart growth and sustainable development, to Merlin Rainwater and Dave Ramsey’s walk in the Central District, which explored hidden P-Patches and community gardens. 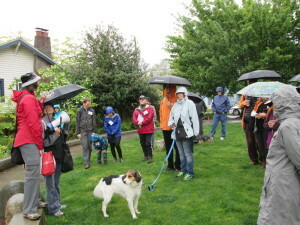 The Ballard Jane’s Walk, Greenspaces to Growlers, led by East Ballard Community Association members Stephanie Shelton and Shannon Dunn, featured a number of greenspaces in the community and appropriately ended at Reuben’s Brews. In Kenmore, after three fatal pedestrian collisions in the past year, community members Stephanie Krambrink and Andrea Laltoo led a Connecting Kenmore for Safety walk, which highlighted serious safety concerns surrounding a lack of facilities for pedestrians and other vulnerable road users. Participants expressed their support for flashing signs and better safety around bus stops. Meanwhile in Edmonds, Keeley O’Connell, Senior Project Manager at Earth Corps, led participants around the Edmonds Marsh, a 32-acre fresh and saltwater wetland adjacent to downtown Edmonds. 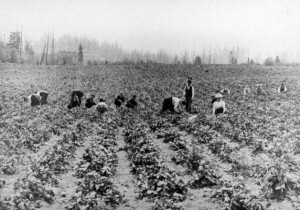 Additionally in Bellevue, Eastside Heritage Center Director Heather Trescases led an Early Bellevue Walking Tour, which traced the history of the city through various stops in the city’s downtown. 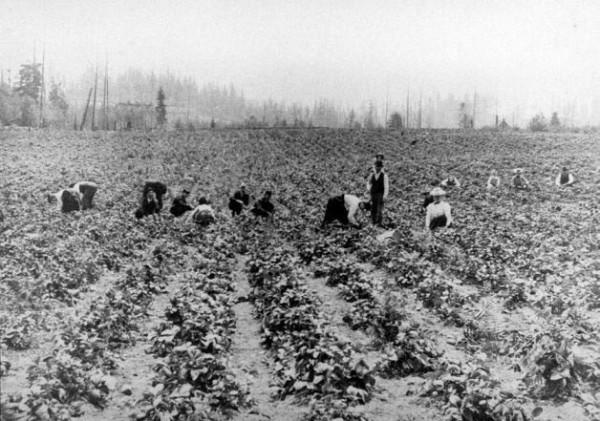 The tour highlighted how Bellevue, now a bustling commercial center with gleaming buildings, was once a small town community where farming was prevalent. Finally, in Issaquah, Nina Milligan from the Issaquah Highlands Council led a tour of the Issaquah Highlands, a planned community based around the principles of New Urbanism. Nina pointed out the many features of the development that correspond with Jane Jacobs’ ideas. The beauty of Jane’s Walk lies in the fact that it is citizen-driven and anyone can lead a walk, as long as you’re interested in sharing about your community with others. While Jane’s Walk 2014 has come and gone, we invite anyone who is interested in leading walks in their neighborhood to attend our Neighborhood Walking Ambassador training on Saturday, June 14th from 10:00am-12:30pm at the Foster Library in Tukwila, WA. These walks provide participants with an opportunity to explore their communities together while meeting new people. More details can be found at http://www.feetfirst.org/events/neighborhood-walking-ambassador-training-2.